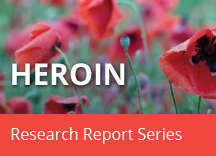 Home » Publications » Research Reports » Heroin » What effects does heroin have on the body? 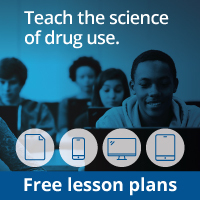 The greatest increase in heroin use is seen in young adults aged 18-25. Heroin binds to and activates specific receptors in the brain called mu-opioid receptors (MORs). Our bodies contain naturally occurring chemicals called neurotransmitters that bind to these receptors throughout the brain and body to regulate pain, hormone release, and feelings of well-being.9 When MORs are activated in the reward center of the brain, they stimulate the release of the neurotransmitter dopamine, causing a reinforcement of drug taking behavior.10 The consequences of activating opioid receptors with externally administered opioids such as heroin (versus naturally occurring chemicals within our bodies) depend on a variety of factors: how much is used, where in the brain or body it binds, how strongly it binds and for how long, how quickly it gets there, and what happens afterward.